It’s the first month of a new year, and if you’ve decided to purchase a new car to traverse the vast stretches of road that are here in Nevada, you might’ve also taken out a car loan to help you do it. If you have taken out an auto loan and the payment terms are difficult to handle, you might want to consider a balance transfer to a credit card. A balance transfer is when you pay towards an existing debt with a credit card, which can have a lot of advantages so long as you evaluate your credit score and finances responsibly. 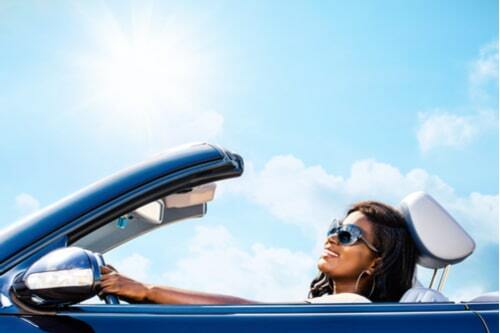 It’s definitely a good idea to consider paying an auto loan with a credit card, so what we’ll discuss is how to do it, what the pros and cons are, and if you are eligible to even take the steps necessary for transferring your debt. When you’re transferring your auto loan debt to your credit card, you’re mostly taking advantage of the lower interest rate that a new credit card offers. Typically, a credit card will have 0% APR for the first six months to a year, which is going to be a lot less than whatever auto loan you’re paying off. The goal would be to pay off the loan in its entirety with your credit card, otherwise, you run the risk of getting things messy between whatever you’ve charged on the card and what is left on the loan. Speak with your lender about paying off the loan with a credit card directly, which has the added benefit of avoiding any balance transfer fees. Your lender might not allow you to do this due to the fees that come with credit card purchases, in which case your next option is to do a formal balance transfer. You will have to pay the fees that are tagged onto this process, which you will need to factor into whether or not the pros outweigh the cons in transferring your debt. You can either do a formal transfer over the phone or through a balance-transfer check. Interest-free periods are key to handling debt. When you pay off your auto loan with a new credit card, you’ll have some time before you have to pay interest on it, which will usually be a far better deal than having to pay the larger interest rate on an auto loan. As long as you pay off your debt during the interest-free period, you will have made a smart choice in making a balance transfer. You will also likely accrue rewards points or cash back, depending on the type of credit card you use. By charging to your new credit card, you will benefit from saving money during the interest-free payments, and make money through the card’s rewards program. Another plus is that a credit card debt is an unsecured debt, meaning that unlike your auto loan if you do not pay off your debt in time, your car will not be repossessed. As of the moment you pay off that auto loan in full, you own the car; however, that doesn’t mean you can default on your credit card. 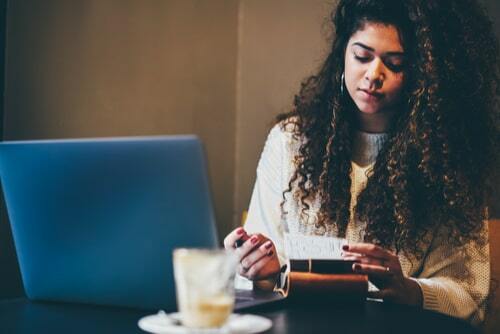 Your credit is score is important for any future purchases that you might need to take out a loan for, or charge to a credit card—so it’s important not to harm your future investments by irresponsibly handling your current debt. If you are unable to charge your auto loan directly to your credit card, chances are you’ll rack up some transfer fees. These fees are usually 3% to 5% of the amount transferred, so depending on the amount, you could wind up paying the same, if not more, on the transfer fee than you would have for the interest on your loan. It would be best to first inquire about charging directly, and if denied, do the math on what you would lose in the formal transfer. If you don’t pay off your credit card within the allotted time for your interest-free period, then your interest on your credit card might just be as bad as your auto loan’s interest. Again, sit down and do the math of your income versus your monthly expenses. You should know before you make your decision whether the numbers are in your favor if you commit to using a credit card for your auto loan. One of the most important ingredients for a balance transfer recipe is the card you charge it to, and the fine print can often make this difficult. The best option is to find a card that offers a 0% APR period and a free balance transfer; however, you will likely run into the conundrum of having to choose between cards that offer one over the other. The transference fee is a fixed, one-time fee that would definitely cost much less than any interest you build on a card that instantly charges it. With this in mind, a card that offers a no-interest period is more beneficial and should be considered with more weight than free transference. Some of the best choices for those in Nevada who are not associated with the military are the American Express credit card and Bank of America’s credit card. If you have been in the military or are currently active, there are a few other choices to consider, some of which you can check out here. Should I Use My Credit Card on My Car Loan? Now that you know how to use your credit card to pay an auto loan, the question becomes should you use a credit card to pay your auto loan? First off, let’s check your credit. You should be able to access your FICO score through your bank, but you can also use online resources like Credit Karma. Once you’ve assessed your standing, you’ll be able to understand what the credit limit is on your future card, and therein how much of your loan you can charge to it. Will it be worth the leg work with the limit that you have? If there is a transference fee, does it outweigh the benefit of the switch? Can you pay off the interest in the interest-free time period with your budget? The answers to these questions will tell you whether paying your auto loan with your credit card is a good idea or not.